I can't quite believe that my baby boy is heading off to school in a few months, it seems seconds since he was born and here he is little Mr Independant and going off to school. 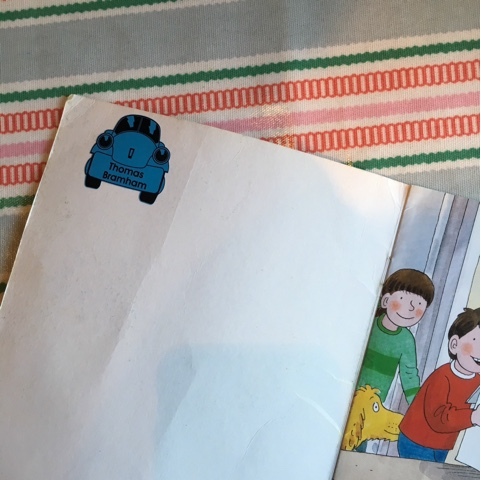 Nursery have started to prepare them for their transition and one of the new changes is that his clothes have to be labelled, just as they would at school. 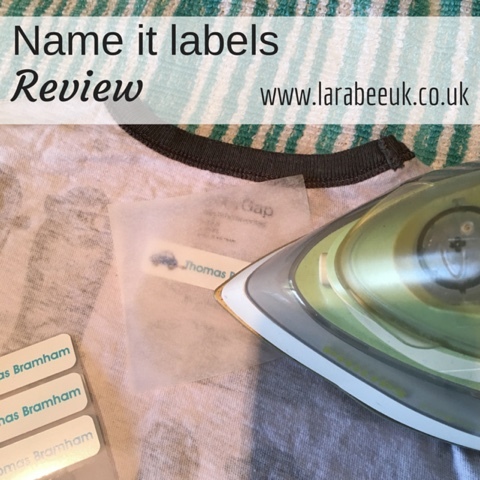 So I was thrilled to be given the opportunity to review some labels by Name it labels. My first impression was how much nicer they are than the ones we had for The Teens, theirs were far more functional and not at all fun. The labels from Name it labels are both, really lovely designs in vibrant colours and so much variety, I let T choose and he chose cars for his labels, we ordered Classic white iron on labels and vinyl name labels in the shape of a car, ordering is really simple and user friendly, it allows you to not only choose your design colour but the colour of your name too. 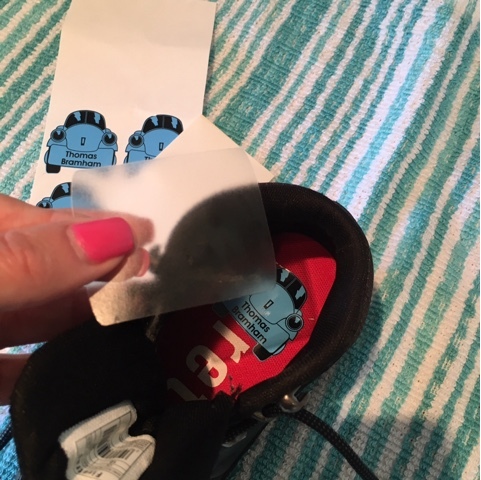 The vinyl labels come with a plastic protector to use for shoes, these have proved to be very resilient and are holding on as though it was the first day we put them in. 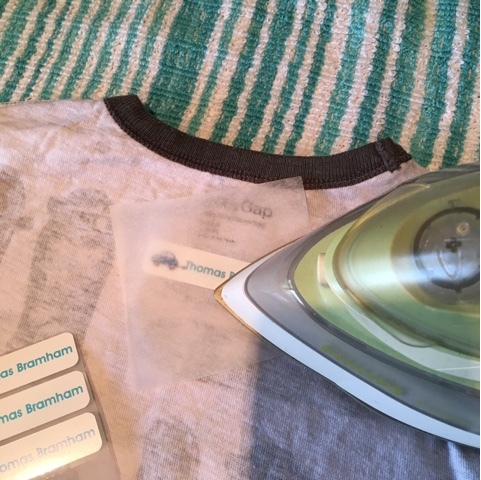 The Classic white iron on labels are really easy to apply and you are given paper to put on before you iron, really quick and simple and look great when they are on. 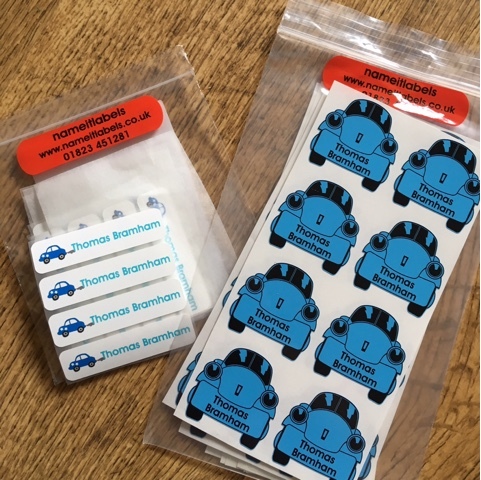 We've also been using the vinyl car labels to label items T's taken in for show & tell, they are so versatile! Obviously lots of other designs are available as well as woven labels and personalised gifts and accessories. I highly recommend Name it labels for quality and customer service. I'll be holding a giveaway in a few weeks so look out for that, it will just in time for going back to school. Disclaimer: I was provided these labels free of charge in exchange for an honest review.